John Blair, Jr. (October 1731–August 31, 1800) was born in Williamsburg, Virginia to a distinguished family. His father was at one point the acting Royal Governor and a Virginia Councillor, while Blair himself was the Williamsburg Mayor in 1751. Blair attended the College of William and Mary and received an Artium Baccalaureatus (“A.B.”) Degree in 1754 which is more commonly known as a “B.A.”. Blair went on study law in London and then to practice law, but was elected to a seat in the House of Burgesses. He served as a clerk of the Royal Governor’s Council between 1770 and 1775 in the upper house of the colonial legislature. John Blair was a well-known legal scholar, but preferred to work in the background, avoiding the spotlight of state politics. He liked the idea of the union of all of the states in a permanent manner. While he did attend the Constitutional Convention, he made a greater contribution at a later time as a Virginia Court of Appeal Judge. Through that position and as a U.S. Supreme Court Judge, he was an influencing factor on the way the Constitution was interpreted in several crucial decisions. Many respected him for being able to cut through the fluff and get to the heart of any matter at law. 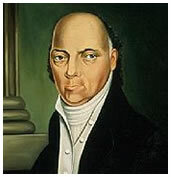 Initially, John Blair would join the moderate wing devoted to the Patriot cause. Blair was in direct opposition to Patrick Henry’s protest of the Stamp Act, but when the House of Burgesses was dissolved by Parliament, Blair changed his thinking as well as his views. He worked tirelessly alongside Booker T. Washington in 1770 and 1774 to draft crucial nonimportation agreements which would have the effect of stopping the import of goods from Britain until the taxes which were previously imposed were finally repealed. In 1774, John Blair pledged his support to the residents of Boston who were undergoing hard economic times due to the actions of Parliament. He joined the ranks of those who called for Continental Congress. As the Revolution started, so did John Blair’s foray into state politics. He was to draft up Virginia’s constitution as a member of the convention in 1776. He was also appointed to several very important committee positions which included a seat in the 28 member Committee that drafted the plan of the Virginia Government and the state’s Declaration of Rights. John Blair served for a time on the Privy Council, and between 1776 and 1778, he was a part of the major advisory group to Governor Patrick Henry. Blair was elected to the general court as a Judge in 1778 by the legislature. That position eventually propelled Blair to the position of Chief Justice. Blair was named Grand Master of Freemasons through the Grand Lodge of Virginia in 1778 and elected to Virginia’s High Court of Chancery in 1780. Through this series of Judicial Appointments, Blair was made a member of Virginia’s first court of appeals. The Virginia Legislature recognized his accomplishments as a jurist by appointing him successor to Thomas Jefferson on a committee formed to revise Virginia’s laws. Blair was nominated by President George Washington to the United States Supreme Court on September 24, 1789 and confirmed by the US Senate on September 26, 1789. He resigned six years later.